Professor Jorge Agüero and his coauthor Trinidad Beleche have had their paper “Health Shocks and their Long-Lasting Impact on Health Behaviors: Evidence from the 2009 H1N1 Pandemic in Mexico” accepted for publication in the Journal of Health Economics. Abstract: Worldwide, the leading causes of death could be avoided with health behaviors that are low-cost but also difficult to adopt. We show that exogenous health shocks could facilitate the adoption of these behaviors and provide long-lasting effects on health outcomes. Specifically, we exploit the spatial and temporal variation of the 2009 H1N1 influenza pandemic in Mexico and show that areas with a higher incidence of H1N1 experienced larger reductions in diarrhea-related cases among young children. These reductions continue even three years after the shock ended. Changes in hand washing behaviors are behind these health improvements. Several robustness checks validate our findings and mechanism. Professor Jorge Agüero (faculty) and Juan Campanario (student) are the recipients of the 2016 Undergraduate Economics Research Award Program (ERAP). Their work on their project “Can Growth and Redistribution Reduce the Influence of Colonial Institutions? 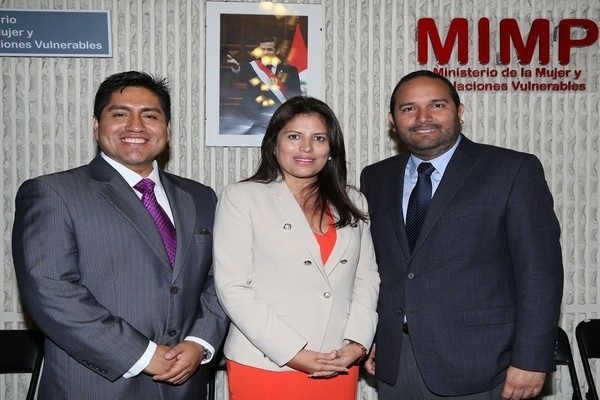 The Case of Peru’s Mining Mita” will be supported through the ERAP program, which is designed to assist research apprenticeships and research collaborations between undergraduate economics majors and economics faculty members. The ERAP program enables the student to enhance research skills relevant to the field of economics, while the faculty member guides the project and provides mentorship. Only one award is given each academic year, with the student receiving a $1,500 fellowship and the faculty mentor receiving a $1,000 grant added to their departmental research accounts. Congratulations to the award winning team! 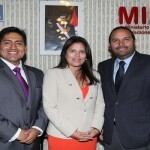 On January 15, 2015, Prof. Jorge Agüero presented his findings on domestic violence to the Peruvian Minister of Women and Vulnerable Populations. Professor Jorge Agüero is spending this academic year at the Research Department of the Inter-American Development Bank (IDB), the leading source of development financing for Latin America and the Caribbean. Professor Agüero will be part of the visiting scholar program at IDB, a program created to address the Bank’s growing demand for knowledge to support the design of public policies and operational loans in public policy areas to prevent and reduce violence in Latin America and the Caribbean. Professor Agüero will contribute to this goal through his research on domestic violence in the region. Professor Jorge Agüero has been awarded a small grant from the Inter American Development Bank (based in Washington, D.C.) for his project “Long-Term Effect of Climate Change on Health: Evidence from Heat Waves in Mexico. I use random year-to-year variation in temperature to estimate the long-term effects of climate change on health outcomes in Mexico. Using temperature data at the district level and three rounds of nationally representative household surveys, I match an individual’s health as an adult with the history of heat waves in each stage of her life cycle until adulthood. This provides a sample of over 75,000 individuals born between 1960 and 1990. The richness of the data allows me to contribute to the existing literature in several ways. First, I use temperature data within states, which permits a more precise estimation of the effect of climate change. Second, I estimate the long-term effects by examining whether exposure to extreme temperatures early in life affects adult health. Third, the model permits the comparison of exposure early in life vis-à-vis later periods, allowing me to identify the critical health periods with respect to temperature. Finally, the project will explore heterogeneous effects by gender, location, poverty level of the area, and access to resources. The results of this investigation will provide academics and policy makers with the most comprehensive analysis about the long-term effects of climate change on health outcomes in the region. More info to come as the project moves forward. 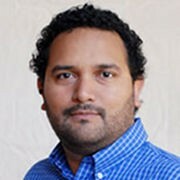 Jorge Agüero will be joining the department this Fall as assistant professor. A graduate from University of Wisconsin-Madison, he is a development economist with a particular interest in the applied microeconomics of development. Professor Agüero has published several articles in the area of Economic Development, including articles in the Journal of Human Resources, American Economic Review Papers & Proceedings, and Journal of African Economics and has several papers under re-submission in top Development Economics field journals. The position he fills is a joint position with El Instituto: Institute of Latino/a , Caribbean, and Latin American Studies.